It starts with a pen. A single brush of fingers and she is captivated. But Alec and Demetri have a dark secret, one that could shatter their reputations and Natalee's heart. What do you do when one guy paints your life with color while the other infuses your soul with passion? How do you choose when your heart is divided? This is a New Adult/Mature YA. Minor swearing and drug usage. 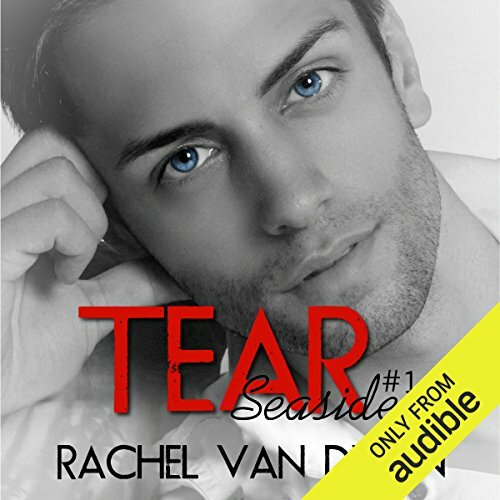 ©2012 Rachel Van Dyken (P)2015 Audible, Inc. I couldn't stop listening from the first chapter! I thought my heart ❤would break as I cried . OMG i think I cried all the way through the book . It's so good you'll love it I promise. I stumbled upon this series by chance and fell in love with it. The messed up love between Alec, Demetri and Nat was extremely interesting. AD2 seems to have so many skeletons in their closets. This book was funny and entertaining to me. I love the characters and the banter between them. I highly recommend this book to any one who love a good book! When Alec and Demetri Daniels move to Seaside Oregon for rehab and therapy they turn Natalee's world upside down. Not only do they make up the band AD2 and bring out the fans and media, but they are also struggling to find their footing together and heal. Natalee doesn't know the whole story about why Alec and Demetri have moved to town, but she's in love with both of them, just in different ways, and stuck right in the middle of the two of them. This book is the same story from Strung but told from Natalee's point of view. More than once I got a bit annoyed with the way Natalee acted but its easy to forget that these characters are teenagers in high school. Overall it is a great book and definitely worth reading the series. The audio for the book was great. This is the second book I've listened to by Luci Christian and again it was a great performance. RVD’s writing style is so amazing. She has this way of bringing real world things to light & helping her characters cope in a way that can help others going thru the same thing. ...it's about teenagers. I gave it 3 stars. I didn't connect with the book, though. I didn't like the love triangle thing. I had a hard time with liking any of the characters. I think this has more to do with me than the book, though. The childish nature of the book was difficult to follow. Nat is one very lucky girl! I loved the book. It's easy to get torn between two guys. It's even easier to have no earthly idea what to do. Rock Stars though, oh, heart be still. Hold on to your seats girlfriends, it's going to be a very bumpy ride. I love Rachel's writing . she draws. you in and tugs at your emotions. Totally recommend . The love triangle between Demetri, Alec and the h is just not real to me. It was glaring she wanted one brother and not the other. Apparently without this so called love triangle, there wont be a story. Also the way it was resolved just meh... The brothers also seemed immature and all that, but I guess because they are teenagers it has to be that way. Maybe. Anyways the next book might be better. On sight, in love, no! the brother, rock stars with tragic vaguely explained stories. Fianced without asking, tragedy, happy ever after. vague unexplained questions. no merit, no substance, no believability. struggled to listen. ugh. Her books usually are much more entertaining.